The physical division of the island is accompanied by a profound alienation between both population groups. In 2004 the mutual distrust was intensified when the Annan Plan was rejected, which in turn impeded the work of the bi-communal activists on both sides. The rich oil and gas deposits in the Eastern Mediterranean contain an enormous potential for conflict. For one, a conflict is looming between Turkey and the Turkish Cypriots, on the one side, and the Greek-Cypriot dominated Republic of Cyprus. 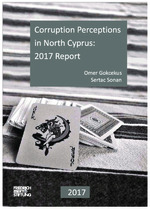 Until the financial and economic crises hit Cyprus, the implementation of necessary political, social and economic reforms have been hindered by the omnipresence of the Cyprus Problem. The effects of the economic and financial crisis, as well as the austerity policy, are another key area of the FES. Due to the crisis, the Greek-Cypriot society is confronted with a dramatic increase in unemployment, particularly among young people, and a declining standard of living. The Friedrich Ebert Foundation's International Dialogue Department promotes dialogue with partners in Europe, the USA, Canada, Turkey and Japan.